Home Uncategorized Female farmers are rare in Georgia. Ashley Rodgers wants to change that. Female farmers are rare in Georgia. Ashley Rodgers wants to change that. The 31-year-old runs Rodgers Greens and Roots in Douglasville, and her fruits and vegetables have appeared on menus at Miller Union, King + Duke, Restaurant Eugene, and more. Here are a few facts about Ashley Rodgers: She’s 5-foot-1, a Detroit native, she has a degree in finance, and she grows fresh produce for several of Atlanta’s most popular fine dining restaurants, including Restaurant Eugene, Miller Union, Saltyard, King + Duke, C. Ellet’s, Watershed, and St. Cecilia. 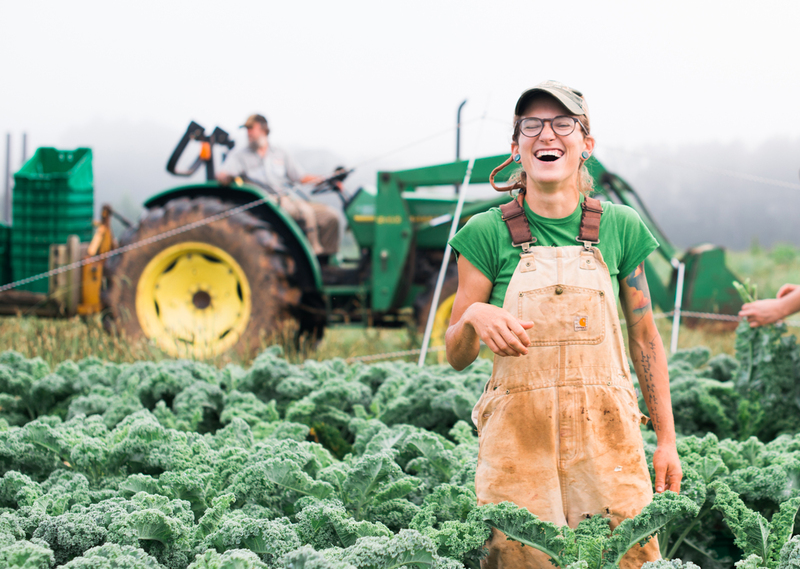 On her Douglasville farm, Rodgers Greens and Roots, she’s completely in her element, wearing khaki shorts, a baggy t-shirt, rubber boots, and covered in manure. Rodgers labels herself a “FarmHer,” a social statement and a clever marketing tool that she and her fiancee and publicist, Hanna Johnson, proudly tout. “I think you can say FarmHer to try to continue to influence that power—and because I want to see more female farmers out there in the world,” Rodgers says. 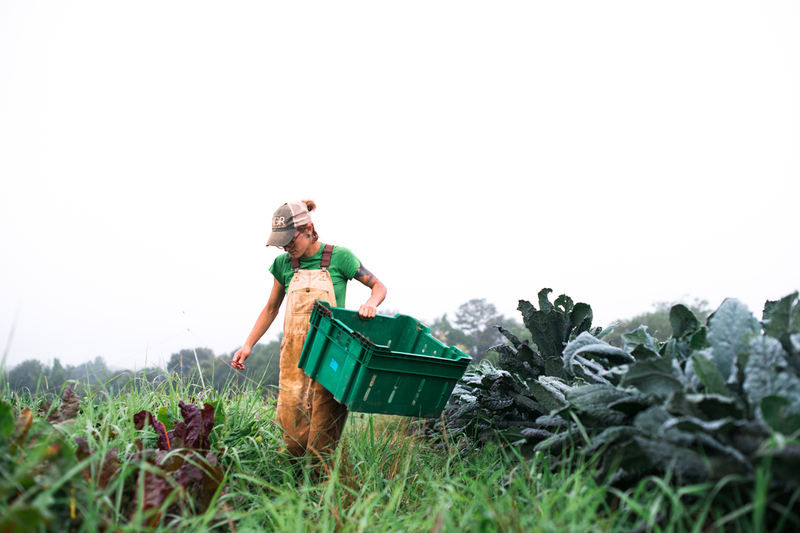 She points out that both men and women apply to work at Rodgers Greens and Roots, and that they’ve told her they specifically want to work for a woman-owned-and-operated farm. “I think that’s awesome,” she says. Rodgers didn’t grow up with composting aspirations. “I was just your regular, old suburban kid, riding bikes and shooting hoops.” She traded Michigan winters for a warmer climate at College of Charleston and began working at the Carolina Yacht Club, where the chef sourced locally grown produce. After reading a couple books by clean food advocate Michael Pollan and buying produce from Charleston’s farmers markets, she decided she would become a farmer after graduation. She always planned on owning her own business, and when she realized farming would allow her to do that and avoid working in an office, she was sold. “I just sat at my computer one day and was like, ‘How can you learn to farm and not have to go back to school?’” A few Google searches later she learned of an apprenticeship at Serenbe Farms and eventually became their farm manager. By the end of 2015, 29-year-old Rodgers was ready to strike out on her own. With help from Johnson, who grew up on a farm and is Rodgers’s cheerleader, she found the perfect piece of land near the Chattahoochee River: a flat, 64-acre parcel with clay-loam soil. On nine acres of her certified organic 15-acre farm she plants “anything that grows in Georgia except corn and peanuts”—think tomatoes, sweet potatoes, and okra. The chefs she had built relationships with through Serenbe were excited when word got out she’d started her own endeavor. 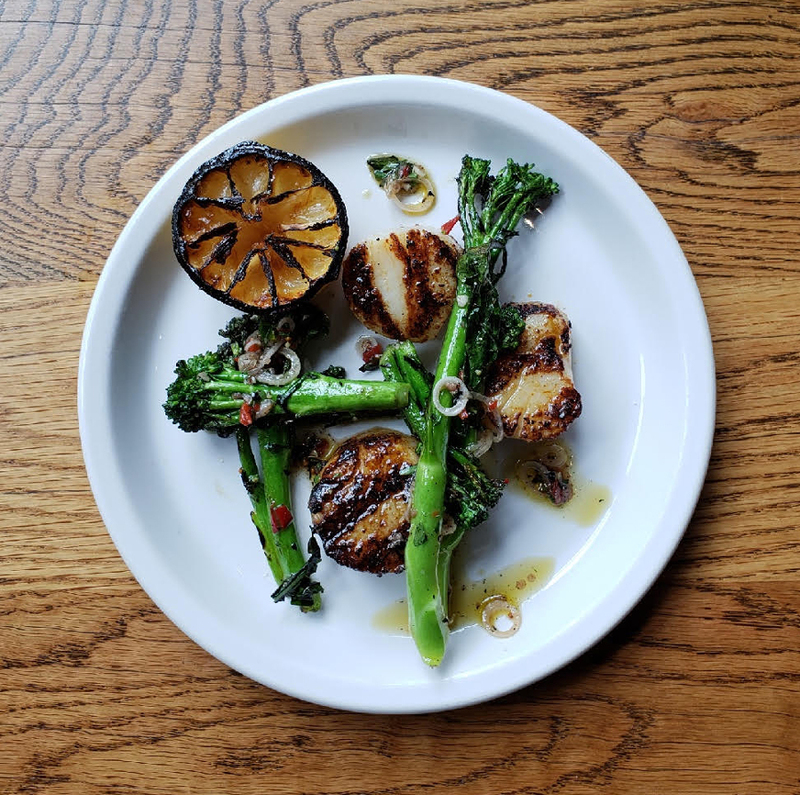 “When you go to markets and see her stands, it’s always the most beautiful, vibrant, and honestly the tastiest produce you’ve ever had,” says Thomas McKeown, executive chef at the Hyatt Regency Atlanta. Hodgkinson grilled broccolini from Rodgers’s farm and dressed it with chilies, pencil onions, and lemon. 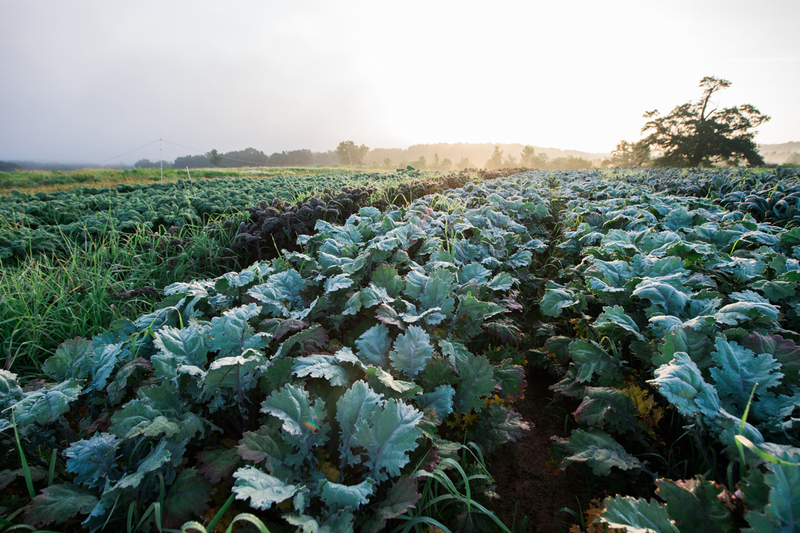 Try it: You can find Rodgers Greens and Roots produce at Peachtree Road Farmers Market and Morningside Farmers Market.